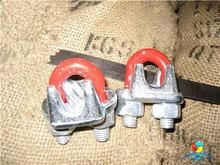 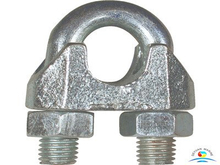 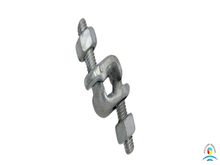 A wire rope clip,sometimes called a u-bolt clamp or u-bolt clip,cable clamp，wire rope clamp，is designed to used to clamp the loose end of a length of wire rope and used on wire rope eye-loop connections or complete loops,end to end connections. 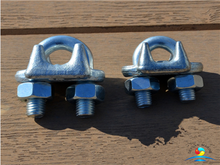 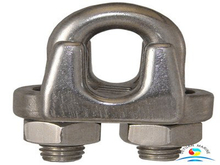 These fittings usually consist of a U-shaped bolt, a forged or cast saddle and two nuts. 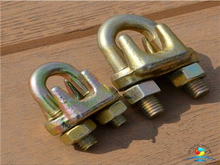 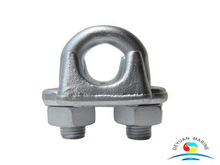 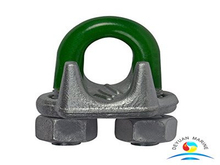 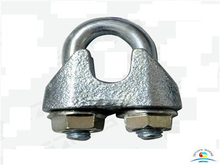 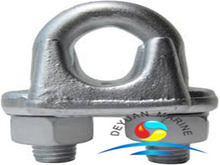 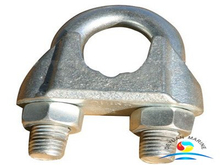 In order to better suit client's request,as a leading manufacture and supplier of wire rope clamp,deyuan marine offer a full line of wire rope clips in galvanized, zinc plated, and stainless steel finishes, a wide range of size for selection. 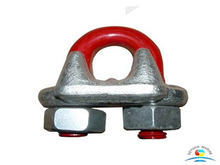 Drop forged steel are excellent for use as guy wire clamps for heavy duty guying applications,while Malleable Clips are a light duty wire rope clip and are not for anything overhead.If you are looking for wire rope clips or clamps,pls feel free to contact us.